SMD 335 60pcs/m Non-Waterproof Side-Emitting 12V - VOLKA Lighting Pty Ltd. The Side Emitting LED Strip or SMD 335 Strip is a unique light source designed especially for edge-lighting. This Strip is perfect for special lighting applications where other light sources can't fit. 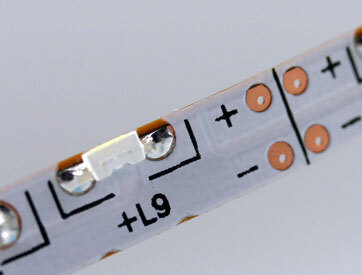 Most standard LED strips emit light from the top surface of the PCB, on which the LEDs are mounted, the Side Emitting LED Strip emits light from the edge of the PCB. This is great and work well. Click the button below to add the SMD 335 60pcs/m Non-Waterproof Side-Emitting 12V to your wish list.